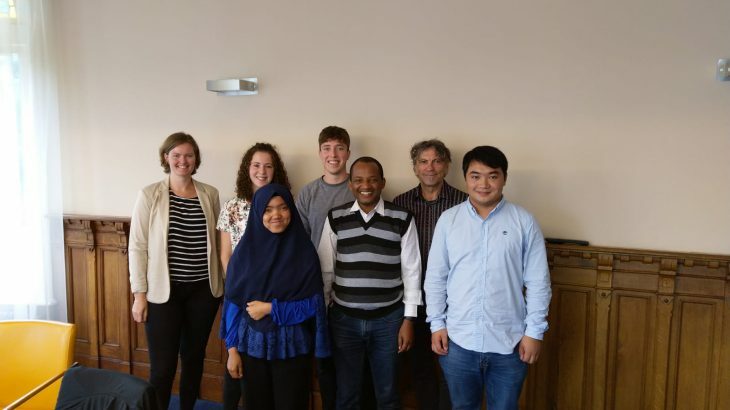 We are an academic consultancy group from Wageningen University that have been given the opportunity to work closely on an exciting project in conjunction with Mineral Valley Twente. Our teams background is culturally very diverse with representatives from China, Indonesia, Ethiopia, Ireland as well as from the Netherlands. As a team of six we bring a broad range of expertise within the agricultural sector, including animal sciences, environmental science and agroecology. We will combine these to get an integrative grasp on a complicated issue. Over the coming 5 weeks, we will be immersing ourselves into issue of reducing methane emission from dairy production in Twente. Our primary objective is to come up with a regional approach that will encompass the most suitable methane reduction measures available at farm level. We hope our research will provide the means for farmers, industry and government in Twente to move toward a climate neutral direction.